We supply, maintain and service photocopiers, printers and shredders to businesses in and around Leicester. P8 Systems is an independent supplier of photocopiers, printers, shredders and all-in-one multifunctional devices (MFDs) to businesses throughout Leicester and the UK. With over 25 years of specialist experience in the industry, we have both the knowledge and the expertise to help you cut costs, improve efficiency and increase your productivity using a range of office printing systems. We cover areas within Leicester including Aylestone, Beaumont Leys, Bede Island, Belgrave, Black Friars, Braunstone Park & Browley Fields, Castle, Charnwood, Claredon Park, Coleman, Dane Hills, Evington, Frog Island, Golden Mile, Highfields, Humberstone, Hamilton, Knighton, Latimer, Leicester City Centre, New Parks, Rushey Mead, Southfields, Spinney Hills, St Matthews, Stoneygate, Thurnby Lodge, Thurncourt, West Knighton, Westcotes and Woodgate. Fast, Reliable and Intelligent Machines. How Can We Help Businesses In Leicester? We can help your business to reduce it’s current printing costs by reducing the cost per print charge on your current set up and also by providing cost effective and reliable machines. We can improve on your current set up to provide outstanding print quality across black/white and colour prints alike. 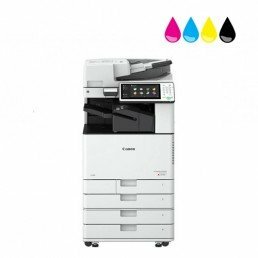 By providing quality machines from renowned brands such as Canon, we ensure the reliability of the machines and provide fast call outs to your offices in the event of any issues. Full installations are provided including any removals/moving of existing photocopiers within your office. Our service contracts include free maintenance, repairs, toners, training, clear contracts and fair and affordable prices. Free training is provided, ensuring you and your staff can receive the greatest benefits from the machines to help you to improve efficiency, reduce your costs and have piece of mind that your office printing equipment is safe with us. If you do get stuck, we can call us on 0800 197 8883 to get help from our customer service team or you can speak with us via our live chat feature.